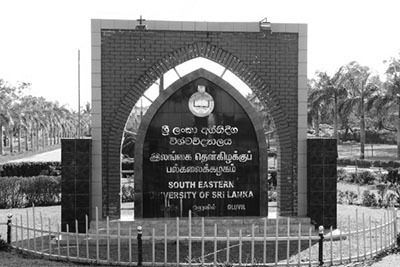 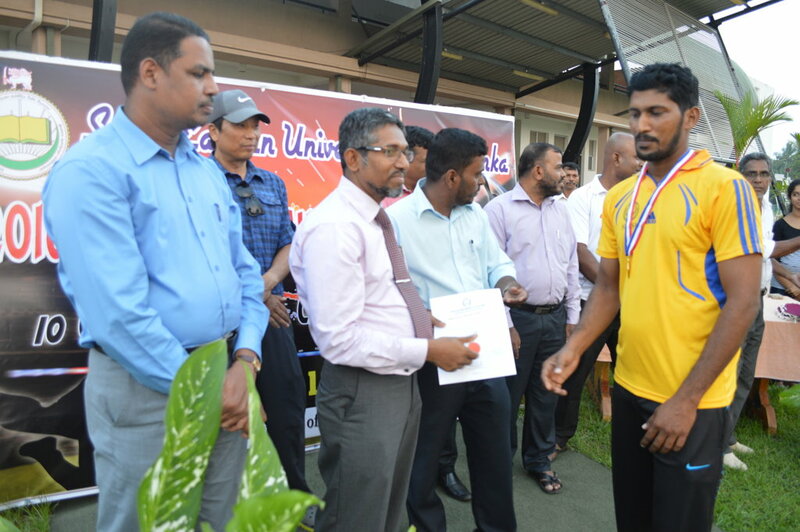 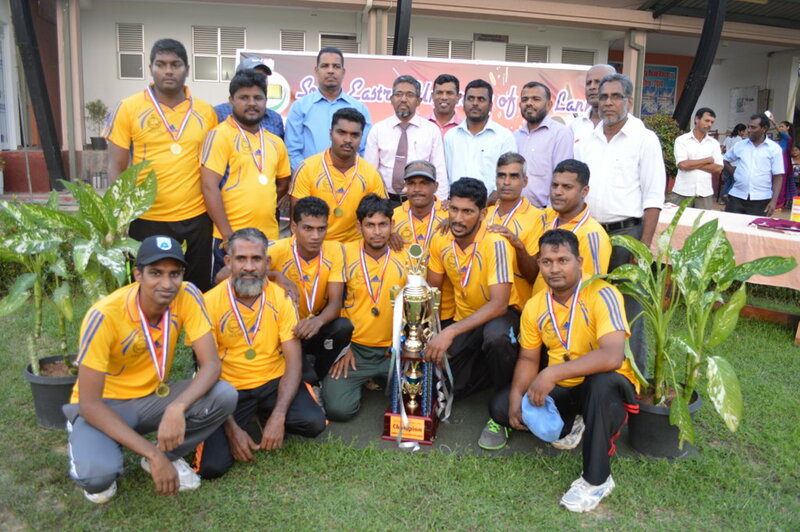 Twitter Squad beat Night Rider by 6 wickets and clinched SEUSL Challenge Trophy at the Inter Divisional limited 10 over Cricket tournament conducted by the Physical Education Department of the South Eastern University of Sri Lanka at the SEUSL Grounds recently. 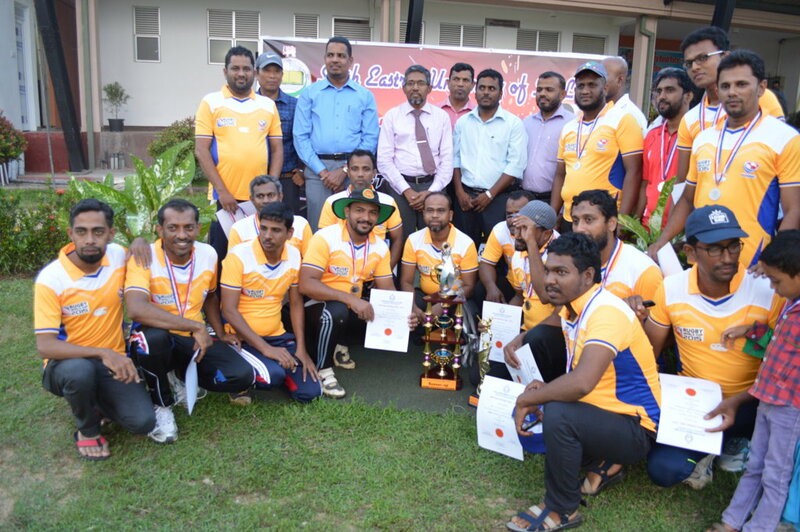 Batting first Night Rider scored 113 runs for 3 wickets in their allotted 10 overs with Rajudeen unbeaten 61 runs and Riswan with 31 runs. 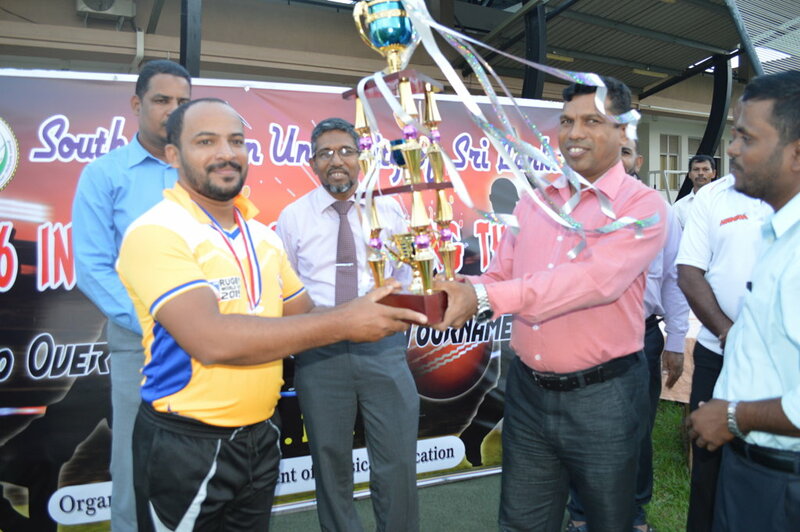 Ajeefar and Sajith bowled well and captured 2 wickets each giving 17 and 24 runs respectively. 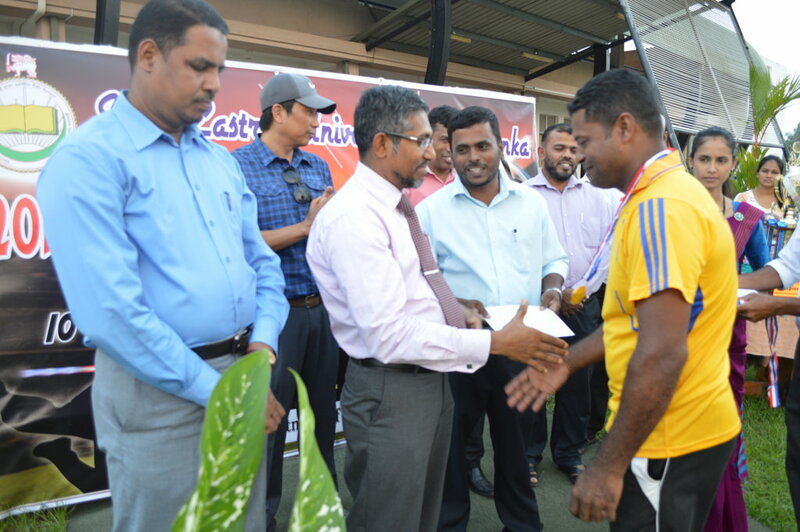 In reply twitter Squad recorded 119 runs for the loss of 4 wickets in 8 overs. 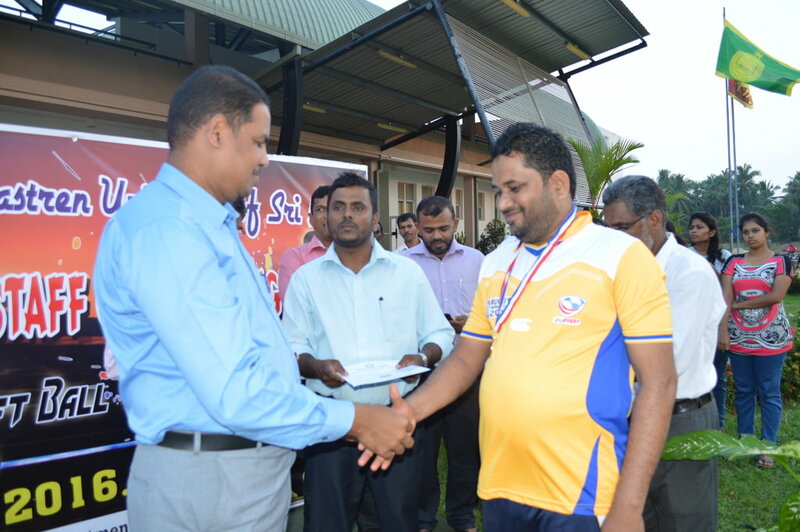 Imtiyas bowled well and captured 2 wickets giving 12 runs. 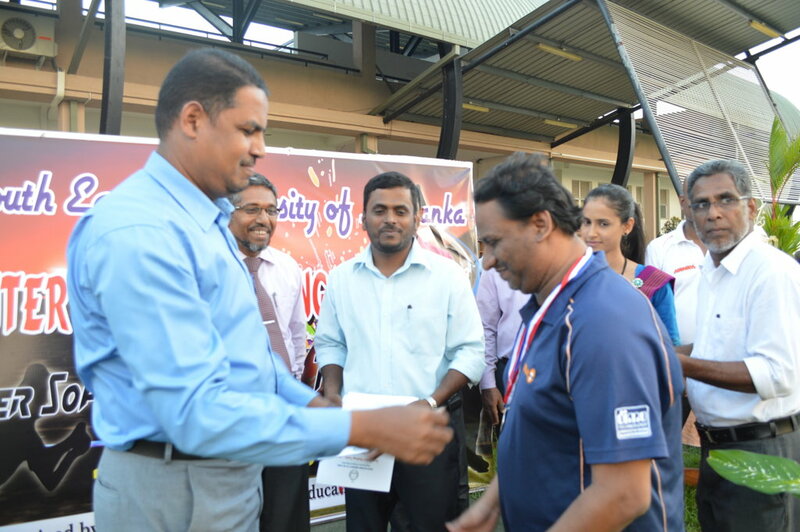 Vice Chancellor Prof. MMM. 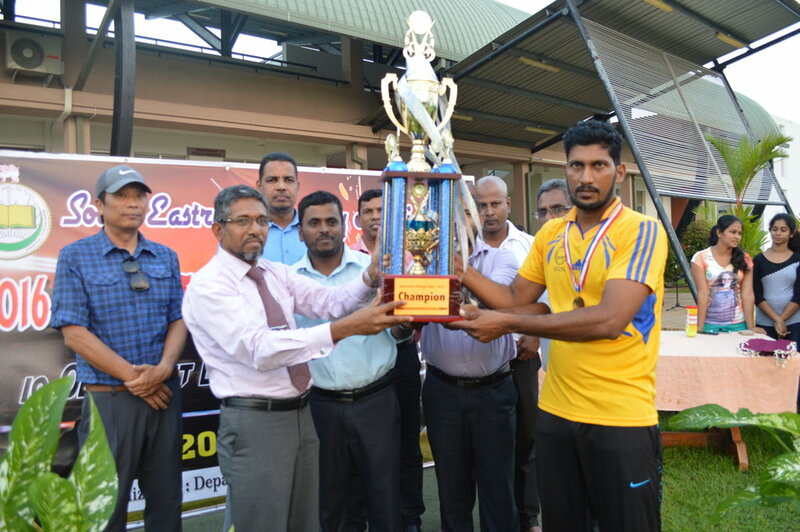 Najim was the chief guest at the finals and awarded the trophies to the winners. 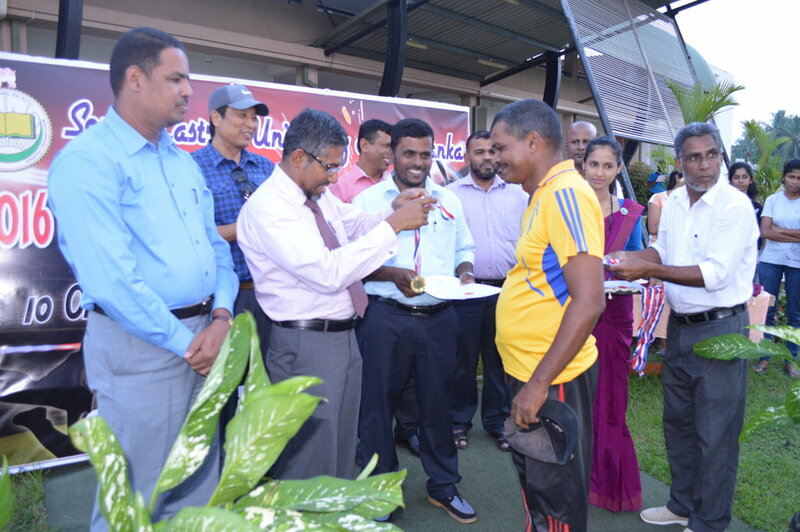 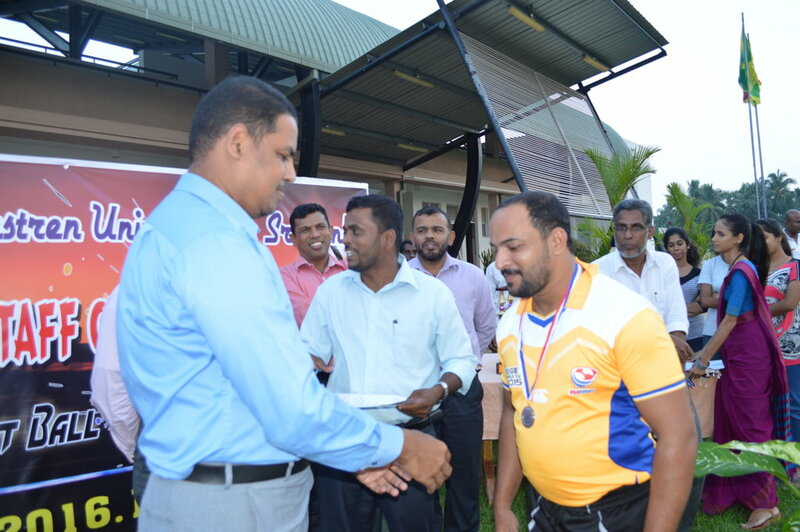 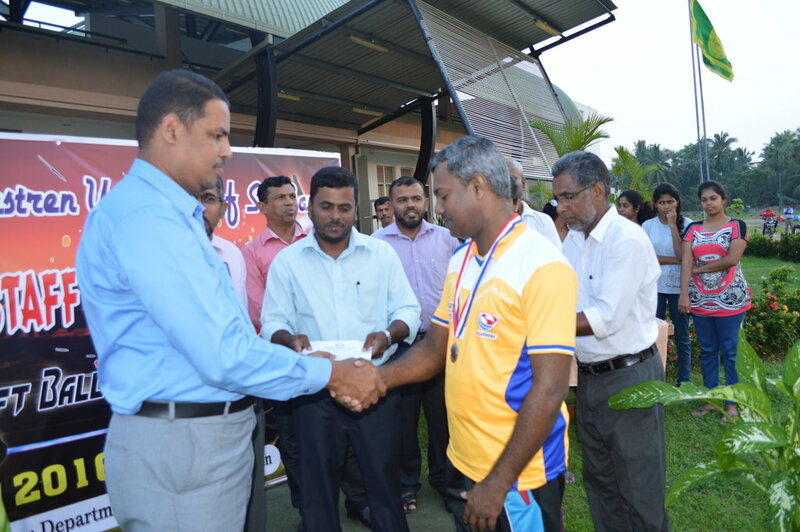 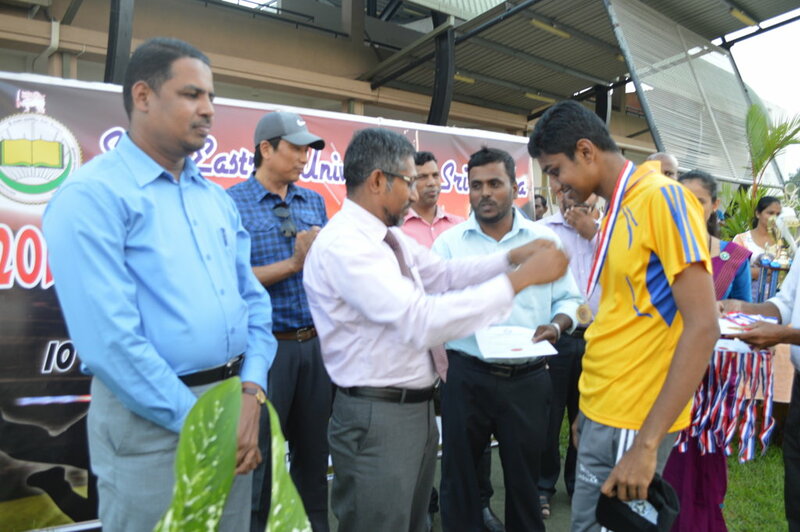 The prize giving of the match was presided over by the Acting. 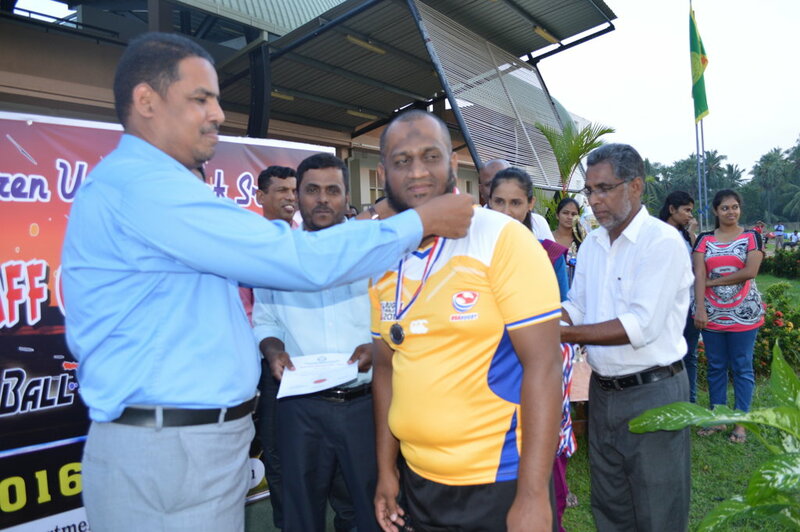 Director of Physical Education IM Gathafy and Acting Registrar MI Nowfer, Deans and Heads of Departments too participated in this finals as guests of honours.and joined the distributions of awards to the winners.